Ten days of free music in and around Birmingham are on offer as the city's 30th International Jazz & Blues Festival kicks off on July 18. Many Birmingham venues around will be hosting shows so it's a great chance to check out some quality tunes. At the Star City shopping and entertainment centre you can see Spain's Potato Head Jazz Band, the acclaimed Billie Holiday tribute Lady Sings The Blues and the Midlands' own King Pleasure & The Biscuit Boys. The Potato Head Jazz Band, from Granada, were one of the hits of 2013's festival and this year the sextet play Star City at 7pm on July 18. They can also be seen at The Brasshouse (12.30pm, July 21), the Soloman Cutler (2pm, July 21), St Paul's Churchyard (noon, July 22), BCU Parkside Building (6pm, July 22), Colmore Square (or the Old Joint Stock if raining) (noon, July 25) and Blackheath Library (7.30pm, July 25). Lady Sings The Blues, performed by Jazz Award winner Val Wiseman with Bruce Adams, Bob Sydor, Roy Williams, Brian Dee, Len Skeat and Bobby Worth, is at Star City at 7pm on July 19. 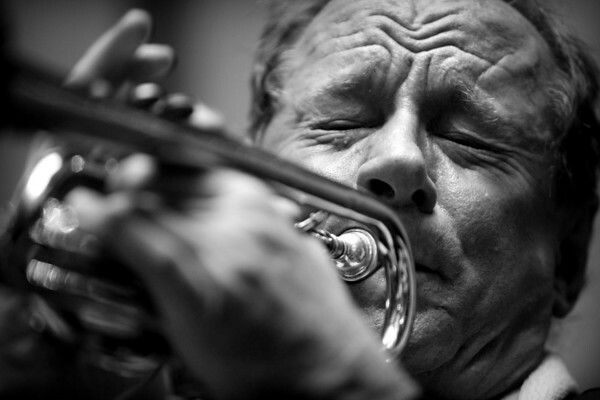 The Val Wiseman Quartet also perform at Cafe Rouge in the Mailbox (7pm, July 18). 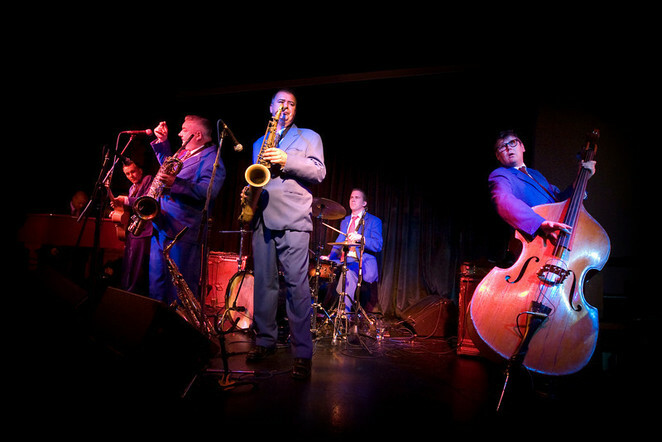 At the same time the following evening, July 20, King Pleasure & The Biscuit Boys take the Star City stage. 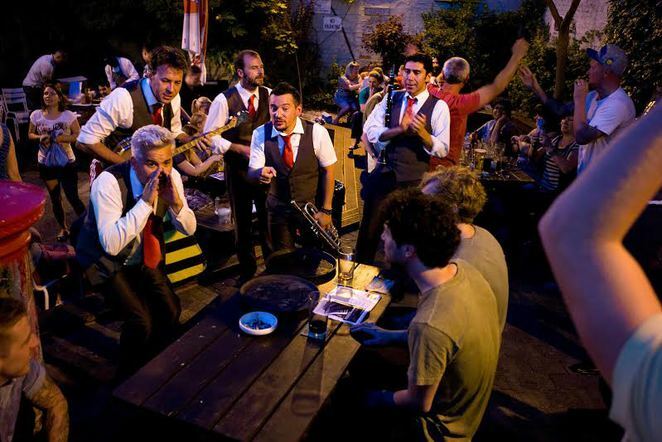 The festival regulars always guarantee a rockin' evening. Frontman Mark Skirving, aka King Pleasure, reveals the band's background here. Birmingham museums are getting in on the Jazz act. On July 19, between 1pm and 3pm, The Precious Penny Pluckers perform at Birmingham Museum & Art Gallery. The Stirling-based Americana swing trio can also be seen at New Street Station (5pm, July 18), Hampton by Hilton, Broad St (9pm, July 18), The Wellington, Bennett's Hill (8pm, July 19), City Tavern, Bishopsgate St (1.30pm, July 20). The Arthur Brown Jazz Band perform outside Blakesley Hall, 1pm – 3pm, on July 20. Dixieland-style trumpeter Arthur can also be seen in Martineau Place (11.30am, July 18) and Priory Square (12.30pm, July 25). Birmingham's Museum of the Jewellery Quarter hosts an outdoor show by Digby Fairweather at noon on July 26.Festival patron Digby and his quartet entertain at the Lord Clifden (7.30pm, July 24) and The Kings Head, Harborne (9.15pm, July 25). He also joins Kansas Smitty's Big Four in Church Street Square at 5pm on July 23 and Becky Brine at Birmingham Markets at 11am, July 25. 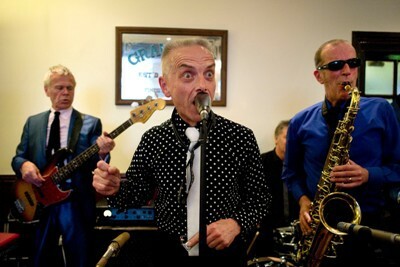 The Chase Jazzmen headline outdoors at Sarehole Mill at 1pm on July 27. Their mix of traditional and swing jazz can also be enjoyed at Cadbury World (noon, July 19), Bournville Village Green (4pm & 6pm, July 19) and The Mailbox (12.30pm, July 22). 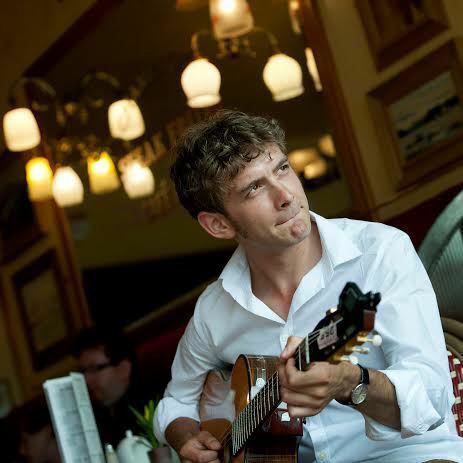 Remi Harris Trio at Searcys at The Rep (12.30pm, July 20), Don Diego, Sutton Coldfield (7pm, July 22), Sutton Coldfield Library (2pm, July 23), West Bromwich Central Library (7.30pm, July 23), Miller & Carter, Hockley Heath (8pm, July 24), Touchwood, Solihull (12.30pm, July 25) and Blue Piano (7pm, July 25).